Ever since I was a little girl, when my grandmother first told me that little rhyme about "Something Old," I knew this was one wedding superstition I would adhere to. So imagine my delight this past summer, when my dear friend Danielle sent me the last piece to my puzzle: a lucky sixpence, from Queen Elizabeth's coronation year! My "something old" was my grandmother's pearl earrings. 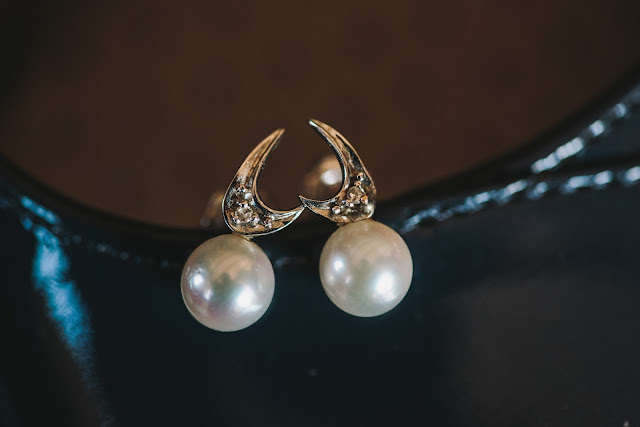 They were a gift to her from my mother and I've always adored them, so it was a natural fit. It also helped me feel like she was right there beside me on my wedding day. 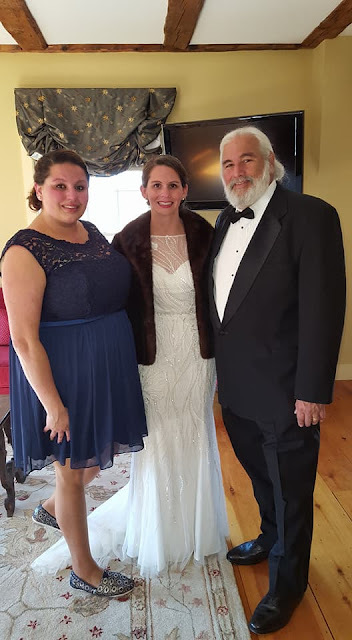 My something new was my dress, and my something borrowed was the most beautiful fur stole that I borrowed from my friend Laura. 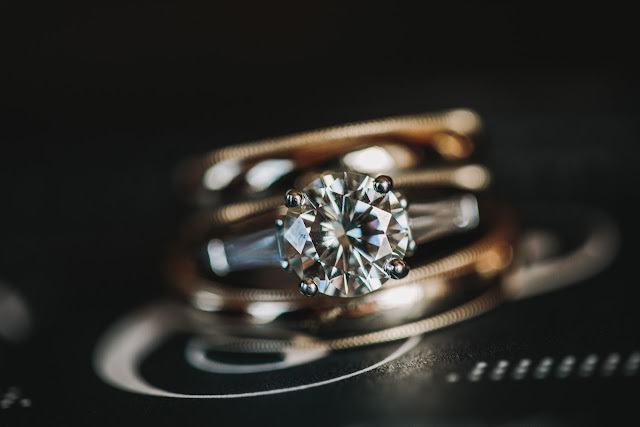 She had, in turn, borrowed it from her husband's grandmother for her own wedding in February 2016, so it felt especially lucky to be borrowing such a gorgeous piece. It ended up being so warm that day that I didn't wear it until late in the evening, but I felt completely glamorous in it and I'm so pleased that she loaned it to me. Our wedding colors were navy blue, gold, and black watch, so there was plenty of blue to go around, but my shoes were what I thought of as my "something blue." They were so comfortable that I was able to wear them for the entire day (we're talking 1pm to 1am, folks!) and they were Invest slingbacks in navy blue from LifeStride, the only company I'll ever buy heels from again. I taped the sixpence into them and it stayed secure the whole evening! 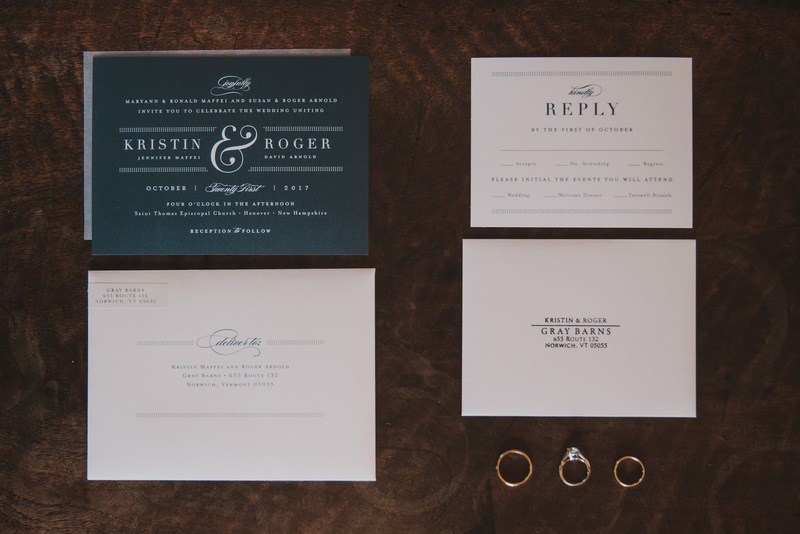 While she photographed my "somethings," Amanda also captured our wedding rings and invitations, obviously a few items that are very special to us. We chose our wedding bands at the same time we purchased my engagement ring, so all three are from Kent Jewelers in New York. The bands are 4mm yellow gold comfort bands with milgrain edges, and they are both engraved with our initials and our wedding date. 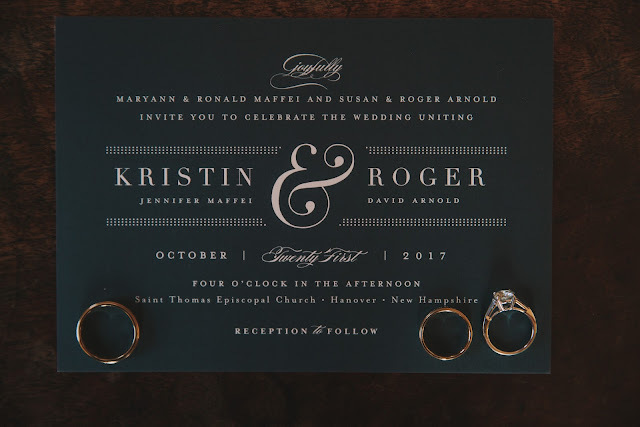 Our invitations were from Minted, and I was so thrilled to find a beautiful ampersand themed card, because we have matching ampersand tattoos, so this felt perfect. They were formal without being too much, and we were able to put information about the whole weekend, along with our wedding website, on the back.